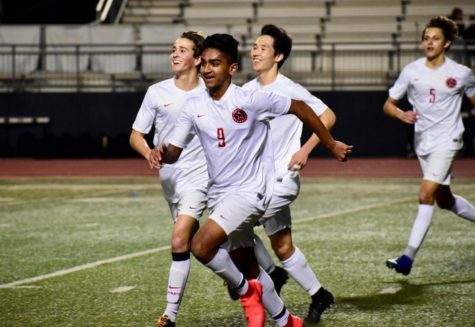 The Coppell soccer team was desperate for an equalizer in the final minutes of Tuesday’s critical District 6-6A match at Flower Mound. After several failed attacking plays, Coppell won a much-needed corner. With nearly all the players inside the penalty box, the corner kick led to multiple close shots and deflections in a matter of a few frenzied seconds. 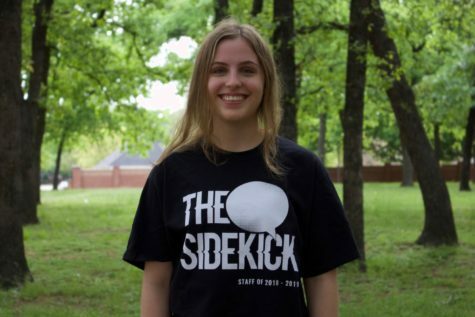 The ball hit the net in the fourth attempt, but right when the Cowboys began rejoicing and the stands went wild, the referee announces that the crucial goal was void because a Coppell player had allegedly roughed the Flower Mound goalkeeper claimed into the goal, giving the Jaguars a 2-1 victory. The loss drops Coppell to second place as Flower Mound takes over the top spot in District 6-6A. Entering Friday’s final night of district play, the District 6-6A top three spots now belong to Flower Mound (9-3-1) Marcus (8-3-2) and Coppell (8-4-1) now in third place. Though the Cowboys has had a history of scoring last-minute goals this season, it’s clutch luck did not pull through. The match held a fast tempo from the first whistle to the very last. 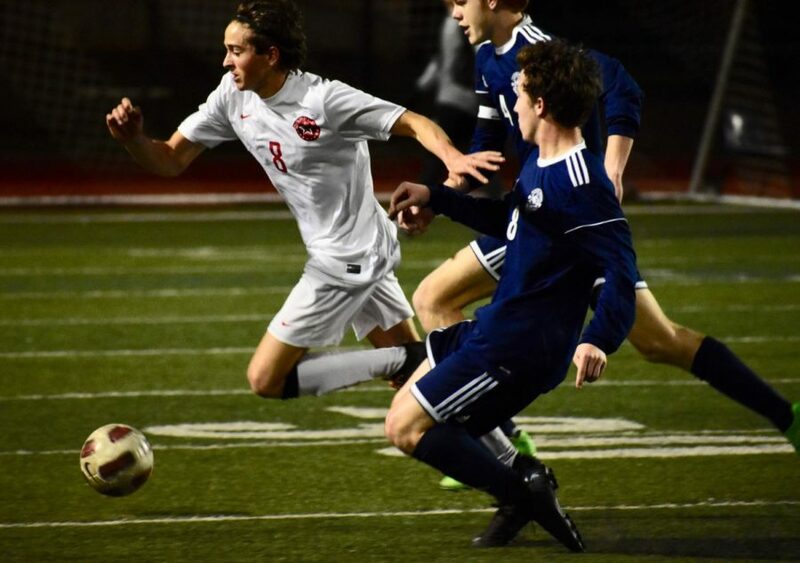 Coppell had three shots on target and many attacking plays 20 minutes in, but the opening goal went to Flower Mound in the 23rd minute – a low cross from Flower Mound deflected off CHS junior defender Maxwell Winneker and resulted in an own goal. Coppell players run to their teammates to celebrate after scoring their first goal during the first half of the game against Flower Mound on Tuesday at the Neal Wilson Athletic Stadium. The Cowboys lost, 2-1, and play Irving Nimitz tomorrow night at 7:30 p.m. at Buddy Echols Field. Just minutes later the Cowboys efforts to tie the match came through as CHS junior striker Tom Vazhekatt managed to net a point-blank shot off a corner in the 27 minute, making the score 1-1. Flower Mound once again took the lead in the 50th minute, as Flower Mound senior Christian Adams dribbled into open space and scored a great longshot from the 25-yard line, making the score 2-1. However, as the Cowboys formation moved to a more offensive set up, the defense suffered. 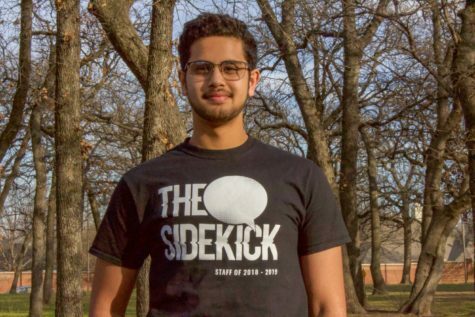 With more frequent holes in the Cowboys’ defense, Flower Mound’s through balls found themselves creating many close chances, and very nearly lead to two more goals against Coppell. However, the final score remained 2-1. Coppell has a chance to overtake Marcus and finish district runner-up at its last match this Friday. Coppell plays Nimitz at Buddy Echols Field at 7:30 p.m., and a win may give it the boost it needs. Nevertheless, Coppell still guaranteed a spot in the Class 6A playoffs.